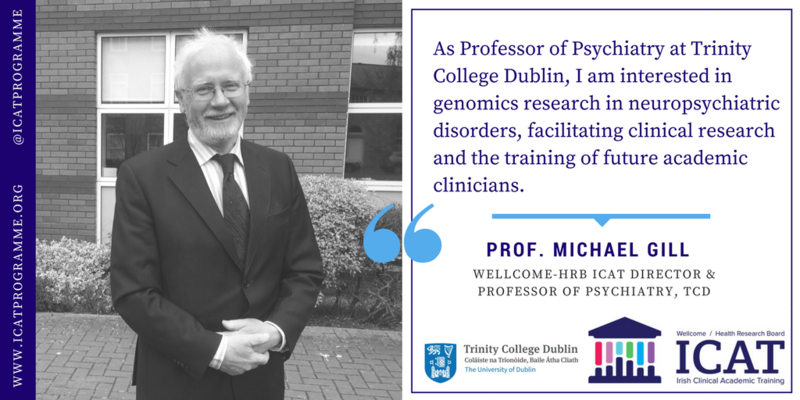 Prof. Michael Gill is Head of the Medical School at Trinity College Dublin and Consultant Psychiatrist. Prof. Gill’s research interests are phenotypic and genomic studies of Neuropsychiatric Disorders, with the aim of understanding disease biology, improving methods of diagnosis and developing new treatments. Prof. Gill is a Co-Director of the Wellcome-HRB ICAT Programme.